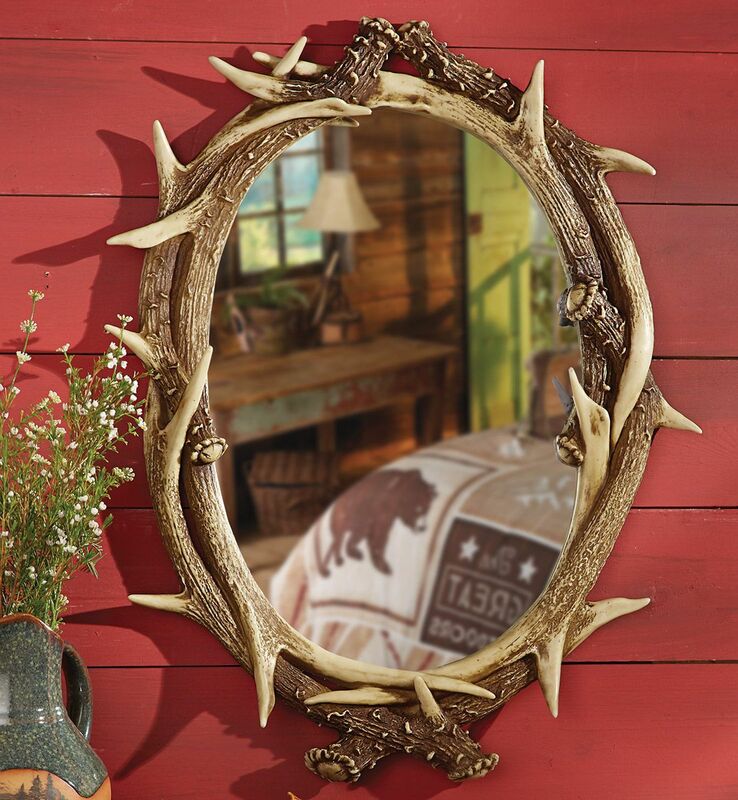 Make a statement on your walls with this oval wall mirror framed with interlocking resin antlers.� 20"W x 3 1/4"D x 26"H ~ Ships from the manufacturer. Allow 1 to 2 weeks. Cannot express ship.